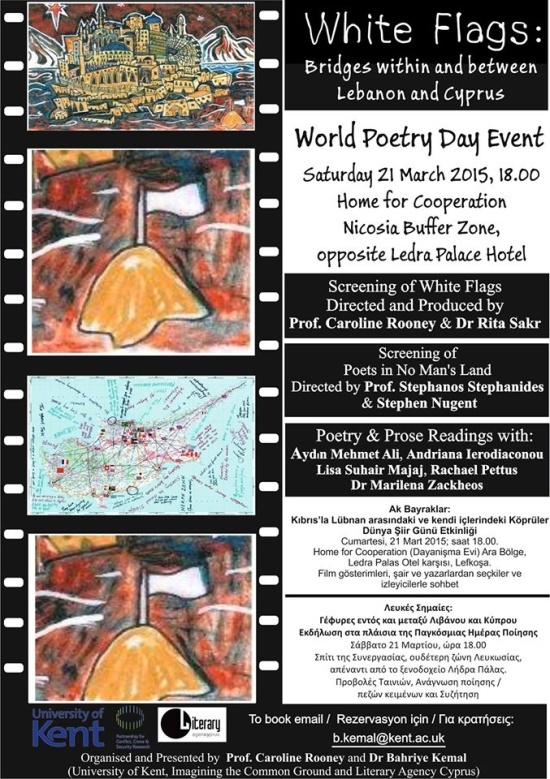 Please join us at this major World Poetry Day event that is being held in March at Home for Cooperation, Nicosia Buffer Zone, Cyprus. Highlights include: screenings, poetry and discussion. For more details on the exciting line up please see attachment. 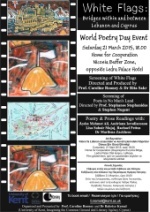 ●on Saturday 21 March 2015 at 18.00 at Home for Cooperation, Nicosia Buffer Zone, opposite the Ledra Palace Hotel. Entry is free. To book in advance email: b.kemal@kent.ac.uk. For more information email: b.kemal@kent.ac.uk. We would be grateful if you would forward this email to others who might be interested. 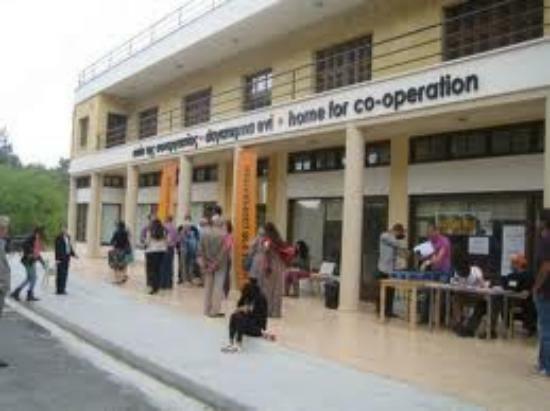 Home for Cooperation, Nicosia Buffer Zone, opposite Ledra Palace Hotel.